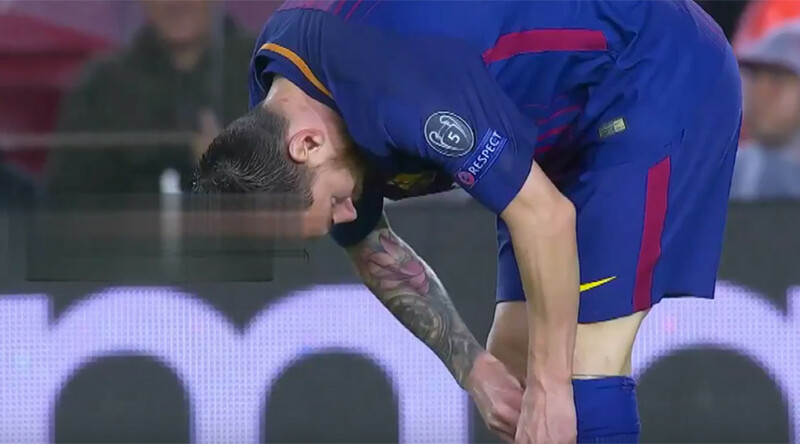 Barcelona striker Lionel Messi popped a pill hidden in his sock before striking his record-tying 100th European goal in a Champions League match against Olympiakos. The Argentine put the pill into his mouth before resuming the game that ended 3-1 in favor of Barca. The mystery tablet was later identified as glucose aimed to boost the player’s energy. The deadlock was broken in 18th minute when defender of the visiting side Dimitrios Nikolaou directed the ball into his own net. Messi doubled Barcelona’s lead in the 61st minute to score his 100th goal in continental football events. He became the second player after Cristiano Ronaldo to move past 100 goals in European competitions. It was his 97th goal registered in the Champions League, with the other three coming in the UEFA Super Cup. Messi later assisted Lucas Digne to make the score 3-0, before Nikolaou headed a late consolation goal for Olympiakos. The Spanish squad was reduced to ten players when Gerard Pique was sent off two minutes before half-time for receiving his second yellow card. This move, however, didn’t affect the outcome of the meeting between Barcelona and Olympiakos. Barcelona now sit just one victory away from sealing a place in the Champions League knockout stages topping group D with nine points and unbeaten in this season’s Champions League campaign.